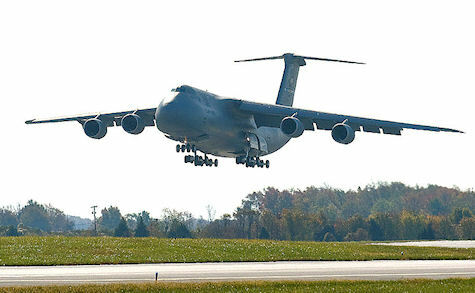 The C-5M Super Galaxy is Lockheed Martin's latest version of its C-5, first flown in 1968. With a monster cargo bay, longer than the entire distance of the Wright brothers' first flight, it can carry a 280,000-pound load for 2,150 nautical miles, then unload and keep going for 500 more. In photos: the unseen aircraft that carry planes, tanks, and soldiers.